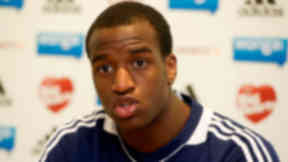 Former England youth international is in the squad to face Ross County. Former Hearts loanee Michael Ngoo has signed a two-year contract with Kilmarnock. The 21-year-old forward enjoyed a loan spell at Tynecastle in the second half of the 2012/13 season, working with new Killie assistant boss Gary Locke. Ngoo scored five times in 16 appearances during his time in Scotland and spent part of the 2013/14 campaign with then Championship side Yeovil. A former youth international, Ngoo also enjoyed a stint at Walsall and will add to Killie's attacking options including Lee Miller, Josh Magennis and Tope Odabeyi. Allan Johnston hopes the attacker can add a cutting edge for his side who have scored once in their opening two league matches. 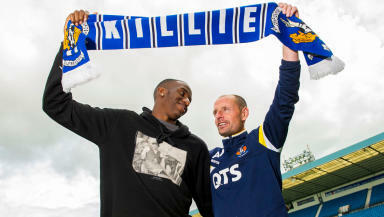 Ngoo will be part of the squad for Saturday's match with Ross County.